It was estimated in 2017 that globally there are around 20,000 horizontal wells drilled and 700,000 fracturing stages completed per year. 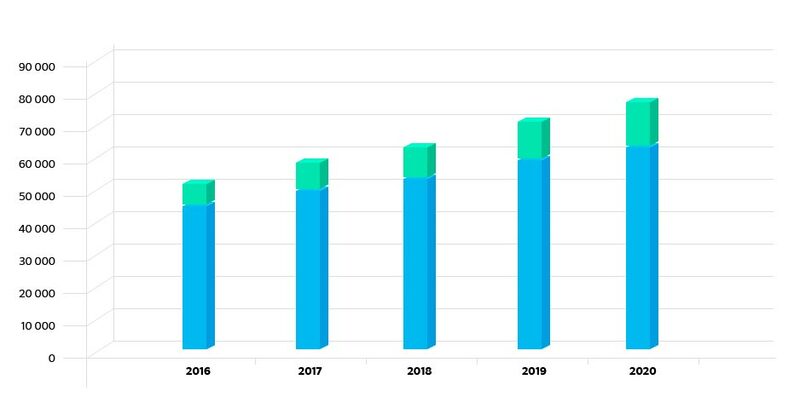 Increasing E&P in unconventional oil and gas reserves, especially in the shale basins, is expected to remain a key factor driving market growth. The U.S. and Canada together accounted for the lion’s share in the global hydraulic fracturing industry. The hydraulic fracturing industry is expected to witness considerable growth in the next decade in countries including Algeria, Argentina, Australia, China, Canada, Kazakhstan, Russia and Saudi Arabia due to the large available unconventional reserves. The global hydraulic fracturing market was valued at USD 42.83 billion in 2016 and will reach USD 81.1 billion by 2024. Enhanced Oil Recovery (EOR) and Enhanced Oil Recovery (IOR) Projects. The list of featured E&P customers includes: National Oil Companies (NOCs), International Oil Companies (IOCs), Independent E&P Operators, Integrated Oilfield Services Companies, Completion Technology Companies and Environmental Agencies.